Download the conference brochure to view the full agenda! The only conference dedicated to soldier and marine modernization in North America. As the US Army and Marine Corps seek to enhance their capabilities in preparation for potential ‘near-peer’ conflict, there is renewed focus on the most crucial and unchanging conduit of dismounted warfare: the individual soldier. In line with the creation of US Army Futures Command and the key US Army modernization priority of increasing Soldier Lethality, Future Soldier Technology USA will bring together a community of senior military leaders, program managers, and researchers at the forefront of delivering enhanced soldier capabilities, from the US and beyond. Future Soldier Technology USA is the only dedicated soldier and marine equipment modernisation conference in North America. With a unique focus on lightening the load and delivering greater lethality through advanced technology, this event will enable dismounted soldier and marine program managers to meet and test the latest equipment capable of enhancing infantry operations. With senior support from the US Army’s PEO Soldier, Marine Corps Systems Command, Natick Soldier Research Development and Engineering Center (NSRDEC), Army Futures Command: Cross Functional Team Soldier Lethality, the Rapid Equipping Force, US Army Research Laboratory, Maneuver Battle Lab, this is the only place to hear the very latest developments in soldier modernization from the key decision makers at the heart of the world’s best military. Mr Mathias Nakatsui, System Engineering Manager, STAR-PAN System Architect, Glenair, Inc.
Advances into new Soldier capabilities are being driven by commercial technology. Developing systems and capabilities which utilize commercial’s rapid advances with an eye toward the primary missions of shooting, moving, communicating and sustaining both on and off the battlefield will require a new paradigm in defense research, development, testing and production. Advanced soldier systems such as ENVG-B and IVAS are bridging these commercial and defense worlds and creating new unique capabilities and challenges, some of which are presented here. System Engineering Manager, STAR-PAN System Architect, Glenair, Inc.
Glenair is a global manufacturer of interconnect technology for high-reliability applications. Our lightweight/miniature connectors are used on a wide variety of platforms from fixed wing and rotor aircraft, ground vehicles and every class of UAV. Our tactical soldier systems and interconnect technologies have become industry standards and are used on more JTAC and DACSAS systems than all other miniaturized connector series combined. The Glenair multiport STAR-PAN™ USB hub and power distribution systems are engineered and manufactured under ISO 9001:2008 and AS9100C certified quality conditions in our 1,000,000 ft2 Southern California factory. The STAR-PAN™ system is designed for maximum open compatibility with non-proprietary Ethernet and USB data interfaces with the basic protocol being GSA compliant USB 2.0. STAR-PAN™ is both Nett warrior & NATO compatible. The STAR-PAN™ System is also capable of smart charging and power distribution utilising the broad range of current in-service military batteries, as well as Direct Current (DC) power sources including vehicle power, solar panels, kinetic energy devices and fuel cells. The STAR-PAN™ product line is an open architecture system and is compliant with the UK MOD/NATO standard. View details Secubit Ltd Sponsors and Exhibitors http://secubit-ltd.com Secubit brings military veterans together with AI & product design experts on a mission to transform tactical readiness worldwide. We develop and manufacture innovative products, bringing global armies and law enforcement agencies to the next level of tactical performance. Secubit aims to redefine the perception of weapon usage & tactical readiness by developing an eco-system powered by AI, connectivity and shared knowledge base. Our technology, both from tactical & maintenance perspectives, will ultimately drive the force to perform more efficiently. View details 21st Century Asian Arms Race Supporters https://21stcenturyasianarmsrace.com/ 21st Century Asian Arms Race (21AAR) is an online resource for conflict and security related information specific to Eurasia. 21AAR's editorial style and open source approach to gathering public intelligence ensures a unique and independent presentation of events in real-time. View details Armada International Supporters http://armadainternational.com ARMADA INTERNATIONAL is leading defence magazine which reports on and analyses defence systems, equipment and technology. Together with its Compendium supplements, ARMADA provides defence planners in the militaries, in government, in procurement and in the defence industry itself with the information they need to plan their strategies. View details Asian Military Review Supporters http://www.asianmilitaryreview.com/ Asian Military Review is ABC audited publication, read & discussed by key decision makers & advisors to Asia Pacific militaries. Published since 1993 it’s widely recognised as authoritative provider of unbiased & objective information to Asian military. Editorial content comprises capability analysis, special reports & relevant news coverage from the region. AMR provides information, opinion & facts allowing military professionals to track & understand defence developments worldwide, concerning equipment, training, organisation & doctrine issues. The magazine is a proven source keeping military professionals up to date on national & international defence & security issues. View details Defence and Security Alert Supporters http://www.dsalert.org Defence and Security Alert (DSA) is the first and only ISO 9001:2015 certified, world-class monthly Indian magazine in defence and security journalism. Covering a strictly research based spectrum of dynamic scenarios in India and challenging horizons beyond national borders, DSA is the only Indian defence magazine available on the intranets of Indian Air Force (IAF) and Border Security Force (BSF). DSA is an ideal platform in this domain to showcase your products, services and cutting-edge technologies. DSA is very extensively circulated among key policy and decision makers in the federal and 28 state governments and corporate world in India and worldwide through print and online editions. View details Defence Today Supporters http://defencetoday.com Defence Today is an online publication covering the latest in global defence and security news, defence intelligence and strategic insight. Terrorism and emerging threats, defence industry coverage, the latest technology developments and emerging platforms and systems. Military equipment profiles and industry showcases. Advertising, press releases and event listings are available. View details Defense Conferences Supporters https://www.marketresearchmedia.com Market Research Media Ltd, a leading market research firm, provides comprehensive market research reports and forecasts to assist governmental and corporate decision makers understand the dynamics of world’s technology markets. Fortune 500 companies, US Congress and EU government bodies rely on our strategic insights. View details Defense Express Supporters http://www.defense-ua.com Limited Liability Company “DEFENSE EXPRESS MEDIA AND CONSULTING” highlights events in security, defense and military cooperation areas. Regular information products of the company: - Daily News Wire and Analysis on http://www.defense-ua.com; - Weekly newsletter “Ukrainian Defense Survey”; - “DEFENSE EXPRESS” Magazine; - “Ukrainian Defense Review” Magazine (in English); - Book series “Weapons of Ukraine”. Company also provides advice and assistance based on deep analytical skills and knowledge of the conditions and characteristics of Ukrainian military market to companies, government bodies and intermediaries in the implementation of their strategy, relating to finding new partners and interests promoting. View details Defense-update.com Supporters http://www.defense-update.com Defense Update highlights worldwide defense programs, including; land warfare covering armor and infantry and support elements,aerospace, naval, C4ISR, EW, Cyber Warfare, intelligence and net-centric warfare, unmanned systems and robotics, and homeland defense. Written by experienced defense journalists from different nations, with contribution by analysts specializing in different fields, Defense Update provides comprehensive coverage of specific defense related topics, including Armored Fighting Vehicles (AFV), Future Combat Systems, Aerospace – and unmanned systems as well as robotics and Precision Strike weapons. It also covers in-depth analysis of developing trends in Command, Control, Communications and Computing, Intelligence, Surveillance and Reconnaissance (C4ISR). View details Epicos Supporters http://www.Epicos.com Epicos is a global, multifaceted portal providing Aerospace and Defense industries around the world with business intelligence and active support to access opportunities on international procurements, industrial cooperation and offsets. Epicos has carried out extensive industry analysis and mapping of capabilities of A&D Industries and offers this knowledge to its members helping them to identify business opportunities and to build strategic alliances. Additionally, Epicos supports the global A&D industry through a wide range of on-line services and products including but not limited to: a large online procurement database, an updated Business Directory, an e-library with extensive information regarding procurement and offsets processes systems and an up to the minute news database. View details Global Military Communications Supporters http://www.globalmilitarycommunications.com Global Military Communications is a publication that tracks the trends, drivers and technology that fuel the military communications sector. Communications continue to be the lynchpin of modern warfare and is crucial to any military campaign. The sector is going through unprecedented change as militaries and governments across the world move towards a network centric approach to their communications. From operations in war zones to homeland security and disaster recovery operations, Global Military Communications provides you with the latest communications developments on land, sea, and in the air. View details Homeland Security Corporation (HSRC) Supporters http://www.hsrc.biz HSRC provides premium off-the-shelf market reports on present and emerging technologies and industry expertise, enabling global clients to gain time-critical insight into business opportunities. All reports include in-depth information and analysis of emerging markets, technologies, and industries broken down by geography, market, vertical, technology, product, and revenue stream. Our reports support Homeland Security & Public Safety communities worldwide in their strategic decision-making process, providing up-to-date market knowledge, analysis, and insights. HSRC offers customized research services geared towards providing our clients with clear, actionable recommendations designed to empower decision-making and to help exploit emerging opportunities in the market. The customized research services provide a deep analysis of specific markets and eco-systems, target geographies, strategic segments and verticals, competitor analysis and technological benchmarks. The custom research services are provided as an ad hoc assignment or as an ongoing service. View details IHS Janes Supporters http://www.janes.ihs.com With a legacy of over 100 years as Jane's, IHS Aerospace, Defence & Security delivers the world’s leading defence and security insight to help you make critical decisions. Our renowned open-source intelligence and powerful analytical tools encompass data on equipment, technology, parts, standards and logistics, as well as objective analysis of markets, programmes and budgets, risk and capabilities assessments, training and consulting services. Government, military and defense organizations gain insight into, plan for and act upon critical threats in the current global national-security environment. Businesses leverage tools and resources for more cost-effective defense-system design, delivery and support. Over 3000 thought leaders provide you with actionable intelligence for expedited and improved decision making. Customers, prospects and the media outlets alike rely upon IHS thought leaders for analysis, forecasts, and perspectives on topics, events, and issues that impact the global business landscape. View details RF Globalnet Supporters http://www.rfglobalnet.com VertMarkets, Inc., publishes industry-specific trade magazines that serve key decision-makers and professionals in a select set of targeted vertical markets. As a complement to VertMarkets' leading online industry Web sites, the magazines offer readers compelling editorial, providing news analysis, market trends, technical reviews, case studies, technical papers, and other educational articles authored by some of the most respected experts in the industries we serve. Additionally, each magazine has a comprehensive Buyer's Guide section designed to promote the latest innovations and products from the leading companies in the market. VertMarkets' circulation model aligns directly with the needs of our readers, as our magazines are aggressively distributed at and around many key industry Tradeshows throughout the year. VertMarkets plans to continue building on the support we give our readers by expanding our magazine publishing business. View details Satellite Evolution Group Supporters http://www.satellite-evolution.com The Satellite Evolution Group delivers a portfolio of must-read publications including; Satellite Evolution Asia; Satellite Evolution EMEA; and Satellite Evolution Global. Containing news, analysis, case studies, and renowned Q&As - the magazines are a must-read. In addition to print magazines, the Satellite Evolution Group delivers products across a complete multimedia platform including email, CD, HTML, audio, and video streaming. View details Satnews Publishers Supporters http://www.satnews.com Satnews Publishers is a leader in the delivery of timely and accurate news and data for the commercial and military satellite industries. Satnews publications include Satnews Daily, Weekly, Mobile, SatMagazine and MilsatMagazine. Our data products include the International Satellite Directory and SatFinder, both industry standard tools. Visit: www.satnews.com. View details SEGURANÇA & DEFESA Supporters http://www.segurancaedefesa.com/ SEGURANÇA & DEFESA (“Security & Defense”), the recognized leader among South American defense magazines. In the market for 29 years, its staff includes the best experts in the field. Sold on newstands and by subscriptions, it is sent free of charge to key names and addresses in the defense sector. View details Soldier Modernisation Supporters http://www.soldiermod.com Soldier Modernisation (SoldierMod.Com) is an authoritative policy and technology publication for the international defense community, serving the integrated equipment needs of the dismounted soldier and marine in operations today and the fielding of Soldier Modernisation Programmes over the next few years. SoldierMod.Com is designed to provide insights into how decision makers plan to transform operations in the areas of survivability, sustainability, C4I, lethality and mobility; managing the balance between the promise of 'leap-ahead technology balance and mature cost effective solutions. SoldierMod is distributed in many formats which will include an 50 page journal 10,000 copies BPA Audited, twice annually , in January and June Our Website www.soldiermod.com , Has a 24 hour news service , anytime ( currently at over 20,000 individual visits per month ) . We also have an online technical forum where anyone in the industry can ask us strategic or technological questions , our partners and experts will respond directly back. View details Tactical Defense Media Supporters http://www.tacticaldefensemedia.com/ TDM publications provide readers with insights into DoD and homeland security program requirements and industry technologies, including mounted and dismounted protection systems, intel and comms applications, tactics, and training. Our mission focus is centered on collecting expert opinion regarding best practices and lessons learned through the eyes of military and civilian authorities, warfighters, and law enforcement. View details Unmanned Systems Technology (UST) Supporters http://www.unmannedsystemstechnology.com/ Unmanned Systems Technology (UST) is dedicated to technology and innovation within unmanned air, land, sea and space systems. UnmannedSystemsTechnology.com provides insight into new products, technologies and suppliers within the unmanned systems sector. Unmanned Systems Technology magazine is a technical publication that delves into the science and engineering of unmanned systems. View details Warfare Today Supporters http://www.warfare.today/ Warfare.Today is an online magazine devoted to current military operations and development, technology, defence news and security analysis. We draw on a massive range of sources to deliver holistic reporting across the defence sector, but with a primary bias towards the UK Armed Forces. Secubit brings military veterans together with AI & product design experts on a mission to transform tactical readiness worldwide. We develop and manufacture innovative products, bringing global armies and law enforcement agencies to the next level of tactical performance. Secubit aims to redefine the perception of weapon usage & tactical readiness by developing an eco-system powered by AI, connectivity and shared knowledge base. Our technology, both from tactical & maintenance perspectives, will ultimately drive the force to perform more efficiently. Market Research Media Ltd, a leading market research firm, provides comprehensive market research reports and forecasts to assist governmental and corporate decision makers understand the dynamics of world’s technology markets. Fortune 500 companies, US Congress and EU government bodies rely on our strategic insights. With a legacy of over 100 years as Jane's, IHS Aerospace, Defence & Security delivers the world’s leading defence and security insight to help you make critical decisions. Our renowned open-source intelligence and powerful analytical tools encompass data on equipment, technology, parts, standards and logistics, as well as objective analysis of markets, programmes and budgets, risk and capabilities assessments, training and consulting services. Government, military and defense organizations gain insight into, plan for and act upon critical threats in the current global national-security environment. Businesses leverage tools and resources for more cost-effective defense-system design, delivery and support. Over 3000 thought leaders provide you with actionable intelligence for expedited and improved decision making. Customers, prospects and the media outlets alike rely upon IHS thought leaders for analysis, forecasts, and perspectives on topics, events, and issues that impact the global business landscape. Global Military Communications is a publication that tracks the trends, drivers and technology that fuel the military communications sector. Communications continue to be the lynchpin of modern warfare and is crucial to any military campaign. The sector is going through unprecedented change as militaries and governments across the world move towards a network centric approach to their communications. From operations in war zones to homeland security and disaster recovery operations, Global Military Communications provides you with the latest communications developments on land, sea, and in the air. Soldier Modernisation (SoldierMod.Com) is an authoritative policy and technology publication for the international defense community, serving the integrated equipment needs of the dismounted soldier and marine in operations today and the fielding of Soldier Modernisation Programmes over the next few years. SoldierMod.Com is designed to provide insights into how decision makers plan to transform operations in the areas of survivability, sustainability, C4I, lethality and mobility; managing the balance between the promise of 'leap-ahead technology balance and mature cost effective solutions. SoldierMod is distributed in many formats which will include an 50 page journal 10,000 copies BPA Audited, twice annually , in January and June Our Website www.soldiermod.com , Has a 24 hour news service , anytime ( currently at over 20,000 individual visits per month ) . We also have an online technical forum where anyone in the industry can ask us strategic or technological questions , our partners and experts will respond directly back. Defence Today is an online publication covering the latest in global defence and security news, defence intelligence and strategic insight. Terrorism and emerging threats, defence industry coverage, the latest technology developments and emerging platforms and systems. Military equipment profiles and industry showcases. Advertising, press releases and event listings are available. The Satellite Evolution Group delivers a portfolio of must-read publications including; Satellite Evolution Asia; Satellite Evolution EMEA; and Satellite Evolution Global. Containing news, analysis, case studies, and renowned Q&As - the magazines are a must-read. In addition to print magazines, the Satellite Evolution Group delivers products across a complete multimedia platform including email, CD, HTML, audio, and video streaming. Defence and Security Alert (DSA) is the first and only ISO 9001:2015 certified, world-class monthly Indian magazine in defence and security journalism. Covering a strictly research based spectrum of dynamic scenarios in India and challenging horizons beyond national borders, DSA is the only Indian defence magazine available on the intranets of Indian Air Force (IAF) and Border Security Force (BSF). DSA is an ideal platform in this domain to showcase your products, services and cutting-edge technologies. DSA is very extensively circulated among key policy and decision makers in the federal and 28 state governments and corporate world in India and worldwide through print and online editions. Unmanned Systems Technology (UST) is dedicated to technology and innovation within unmanned air, land, sea and space systems. UnmannedSystemsTechnology.com provides insight into new products, technologies and suppliers within the unmanned systems sector. Unmanned Systems Technology magazine is a technical publication that delves into the science and engineering of unmanned systems. SEGURANÇA & DEFESA (“Security & Defense”), the recognized leader among South American defense magazines. In the market for 29 years, its staff includes the best experts in the field. Sold on newstands and by subscriptions, it is sent free of charge to key names and addresses in the defense sector. Epicos is a global, multifaceted portal providing Aerospace and Defense industries around the world with business intelligence and active support to access opportunities on international procurements, industrial cooperation and offsets. Epicos has carried out extensive industry analysis and mapping of capabilities of A&D Industries and offers this knowledge to its members helping them to identify business opportunities and to build strategic alliances. Additionally, Epicos supports the global A&D industry through a wide range of on-line services and products including but not limited to: a large online procurement database, an updated Business Directory, an e-library with extensive information regarding procurement and offsets processes systems and an up to the minute news database. Defense Update highlights worldwide defense programs, including; land warfare covering armor and infantry and support elements,aerospace, naval, C4ISR, EW, Cyber Warfare, intelligence and net-centric warfare, unmanned systems and robotics, and homeland defense. Written by experienced defense journalists from different nations, with contribution by analysts specializing in different fields, Defense Update provides comprehensive coverage of specific defense related topics, including Armored Fighting Vehicles (AFV), Future Combat Systems, Aerospace – and unmanned systems as well as robotics and Precision Strike weapons. It also covers in-depth analysis of developing trends in Command, Control, Communications and Computing, Intelligence, Surveillance and Reconnaissance (C4ISR). Satnews Publishers is a leader in the delivery of timely and accurate news and data for the commercial and military satellite industries. Satnews publications include Satnews Daily, Weekly, Mobile, SatMagazine and MilsatMagazine. Our data products include the International Satellite Directory and SatFinder, both industry standard tools. Visit: www.satnews.com. ARMADA INTERNATIONAL is leading defence magazine which reports on and analyses defence systems, equipment and technology. Together with its Compendium supplements, ARMADA provides defence planners in the militaries, in government, in procurement and in the defence industry itself with the information they need to plan their strategies. VertMarkets, Inc., publishes industry-specific trade magazines that serve key decision-makers and professionals in a select set of targeted vertical markets. As a complement to VertMarkets' leading online industry Web sites, the magazines offer readers compelling editorial, providing news analysis, market trends, technical reviews, case studies, technical papers, and other educational articles authored by some of the most respected experts in the industries we serve. Additionally, each magazine has a comprehensive Buyer's Guide section designed to promote the latest innovations and products from the leading companies in the market. VertMarkets' circulation model aligns directly with the needs of our readers, as our magazines are aggressively distributed at and around many key industry Tradeshows throughout the year. VertMarkets plans to continue building on the support we give our readers by expanding our magazine publishing business. Asian Military Review is ABC audited publication, read & discussed by key decision makers & advisors to Asia Pacific militaries. Published since 1993 it’s widely recognised as authoritative provider of unbiased & objective information to Asian military. Editorial content comprises capability analysis, special reports & relevant news coverage from the region. AMR provides information, opinion & facts allowing military professionals to track & understand defence developments worldwide, concerning equipment, training, organisation & doctrine issues. The magazine is a proven source keeping military professionals up to date on national & international defence & security issues. 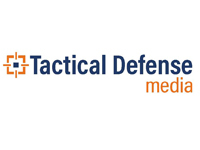 Limited Liability Company “DEFENSE EXPRESS MEDIA AND CONSULTING” highlights events in security, defense and military cooperation areas. Regular information products of the company: - Daily News Wire and Analysis on http://www.defense-ua.com; - Weekly newsletter “Ukrainian Defense Survey”; - “DEFENSE EXPRESS” Magazine; - “Ukrainian Defense Review” Magazine (in English); - Book series “Weapons of Ukraine”. Company also provides advice and assistance based on deep analytical skills and knowledge of the conditions and characteristics of Ukrainian military market to companies, government bodies and intermediaries in the implementation of their strategy, relating to finding new partners and interests promoting. TDM publications provide readers with insights into DoD and homeland security program requirements and industry technologies, including mounted and dismounted protection systems, intel and comms applications, tactics, and training. Our mission focus is centered on collecting expert opinion regarding best practices and lessons learned through the eyes of military and civilian authorities, warfighters, and law enforcement. HSRC provides premium off-the-shelf market reports on present and emerging technologies and industry expertise, enabling global clients to gain time-critical insight into business opportunities. All reports include in-depth information and analysis of emerging markets, technologies, and industries broken down by geography, market, vertical, technology, product, and revenue stream. Our reports support Homeland Security & Public Safety communities worldwide in their strategic decision-making process, providing up-to-date market knowledge, analysis, and insights. HSRC offers customized research services geared towards providing our clients with clear, actionable recommendations designed to empower decision-making and to help exploit emerging opportunities in the market. The customized research services provide a deep analysis of specific markets and eco-systems, target geographies, strategic segments and verticals, competitor analysis and technological benchmarks. The custom research services are provided as an ad hoc assignment or as an ongoing service. Warfare.Today is an online magazine devoted to current military operations and development, technology, defence news and security analysis. We draw on a massive range of sources to deliver holistic reporting across the defence sector, but with a primary bias towards the UK Armed Forces. 21st Century Asian Arms Race (21AAR) is an online resource for conflict and security related information specific to Eurasia. 21AAR's editorial style and open source approach to gathering public intelligence ensures a unique and independent presentation of events in real-time.